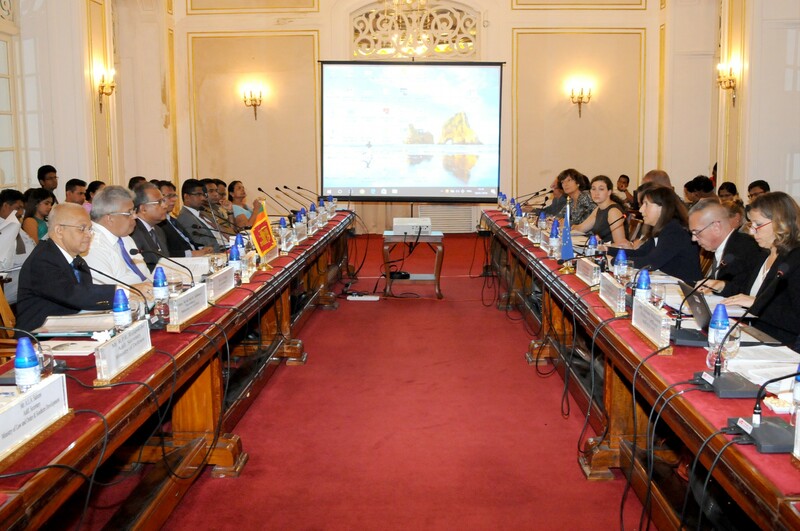 The 21st meeting of the European Union-Sri Lanka Joint Commission took place in Colombo on 18 January 2018. The European Union-Sri Lanka Joint Commission oversees the 1995 EU-Sri Lanka Cooperation Agreement on Partnership and Development. Its tasks include ensuring the implementation of the Agreement; setting mutually agreed priorities; and making constructive recommendations. The Commission accordingly deals with a broad range of bilateral and multilateral issues of mutual interest to the EU and Sri Lanka. The Working Group on Governance, Rule of Law, and Human Rights, the Working Group on Trade and Economic Cooperation Issues, and the Working Group on Development Cooperation–established under the terms of the Joint Commission–held meetings in the last year. Each Working Group reported back to the Joint Commission on their respective meetings. The 21st meeting of the Joint Commission was held in an open and constructive spirit. The EU and Sri Lanka welcomed the formal restoration of the GSP Plus regime to Sri Lanka in May 2017, providing duty free access for more than 80% of Sri Lankan exports to the European Union, the world's largest economy, and Sri Lanka's largest export market. Sri Lanka stated that initial indications showed that the restoration of GSP Plus had contributed to a near doubling of export growth. The trade preferences scheme was restored in recognition of the progress made by Sri Lanka in implementing the 27 international conventions listed in the GSP Regulation relating to human rights, labour, good governance and the environment. 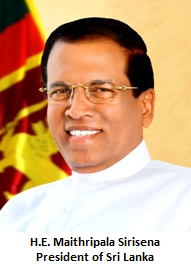 The parties welcomed Sri Lanka’s recent accession to the Optional Protocol to the Convention against Torture, but there was agreement that the Government of Sri Lanka must ensure that the policy of zero-tolerance for the use of torture is implemented and that perpetrators are swiftly brought to justice. The EU re-emphasised its clear and unwavering expectation that urgent action would be taken by the Sri Lankan authorities to repeal the Prevention of Terrorism Act (PTA) and replace it with legislation that is in line with international standards. Plans to resolve as soon as possible the situation of the remaining detainees held under the PTA were discussed. In addition, there was discussion of the need to amend the Code of Criminal Procedure to ensure fundamental legal safeguards. The EU and Sri Lanka remain committed to continuing bilateral discussions through the respective Working Groups and the GSP+ monitoring process with a view to further strengthening the implementation of the provisions of the 27 conventions. The accession to the Convention on the Prohibition of the Use, Stockpiling, Production and Transfer of Anti-Personnel Mines and on their Destruction, and adoption of a National Human Rights Action Plan, as well as the acceptance of the vast majority of recommendations received during the third cycle of its Universal Periodic Review in November 2017, were welcomed by both parties as evidence of Sri Lanka’s continued commitment to reform. The meeting also provided an opportunity to exchange views on the implementation of the UN Human Rights Council Resolutions of 1 October 2015 and 23 March 2017. The parties noted the progress made with respect to the establishment of the Office on Missing Persons. They also noted Sri Lanka’s reaffirmed commitment to establishing the remaining mechanisms aimed at truth seeking, reconciliation, reparation, and justice, on which the EU urged for prompt action. Progress with regard to the enactment of the International Convention on the Protection of All Persons from Enforced Disappearance Act, unmet expectations of justice in the 'emblematic cases', the further release of land, and the normalisation of civilian life in the Northern and Eastern Provinces of Sri Lanka, were discussed during the meeting. 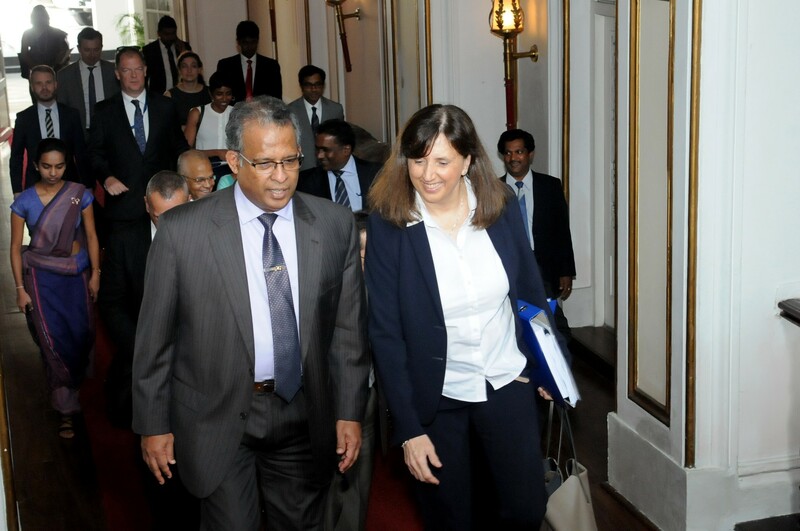 Sri Lanka also provided updates on the ongoing constitutional reform process, and measures to combat corruption. Sri Lanka welcomed the EU's support in rural development and the widening of development cooperation to include support to democratic governance and reconciliation. The EU continues to be one of largest grant donors to Sri Lanka, with an allocation of €210 million (approximately LKR 40 billion) for the period 2014-2020, and last year launched its largest programme of cooperation to improve the lives of poor people living in the rural areas of Central and Uva Provinces. 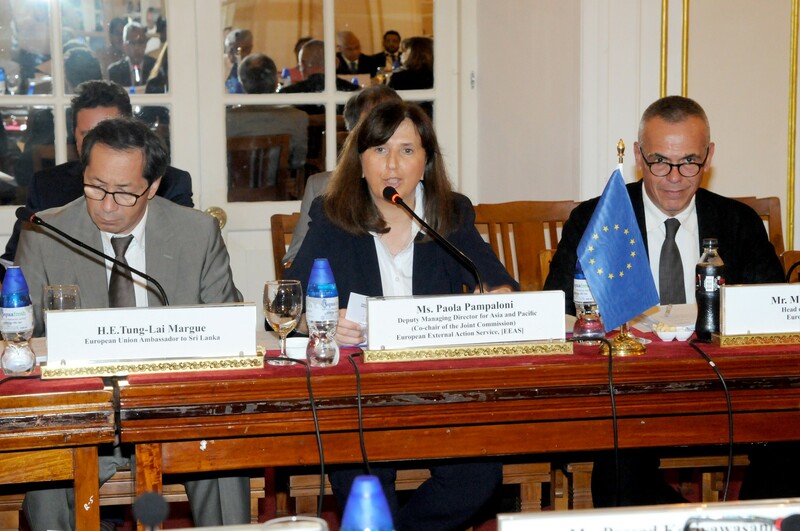 The EU-Sri Lanka Investor Dialogue was recognised as providing a valuable forum for building confidence amongst EU investors in Sri Lanka and facilitating the resolution of issues that deterred further investment. In light of the lifting of the EU ban on export of fish from Sri Lanka, the participants of the Joint Commission noted the value that increased fishing exports would bring to the economy and the livelihoods of Sri Lankan fishing communities. Sri Lanka reiterated its continued commitment to managing and controlling fisheries in compliance with its international obligations. The EU welcomed the participation of Sri Lankan students, scholars and universities in EU higher education and research cooperation programmes. 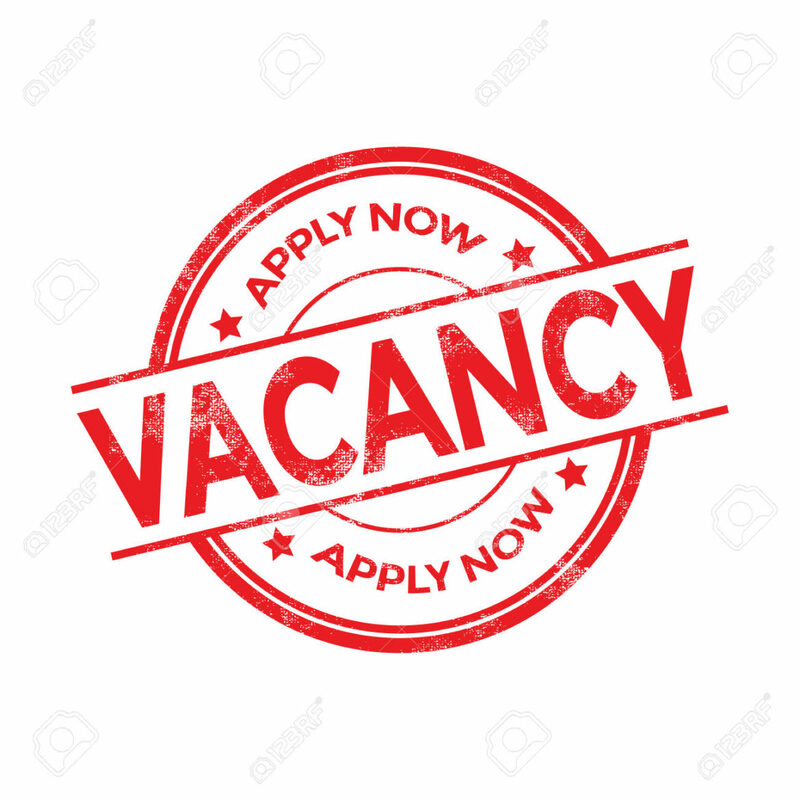 It further encouraged more applications from Sri Lanka in light of the available opportunities. The parties agreed on a series of follow-up actions ahead of the next Joint Commission meeting in Brussels later in the year. The meeting was co-chaired by Ms. Paola Pampaloni, Deputy Managing Director for Asia and Pacific of the European External Action Service, and Mr. Prasad Kariyawasam, Secretary to the Ministry of Foreign Affairs of Sri Lanka.